Many people believe all curls are thick and frizzy. Women with curly hair know this isn't necessarily true and that all curls are unique in their texture and thickness. One of the most complicated curl types to care for are those that are fine. Since fine hair is more prone to breakage, it needs extra special care and attention. Understanding how to care for your fine curls is essential to their overall health. Good curl care starts with washing, so we're going to walk you through the steps for a great fine curl care regime. 1. How often should you wash your fine curls? Unlike thicker curls, your fine curls are more likely to be weighed down with product and oil buildup. In order to best understand how to care for your curls, you need to pay attention to their needs. If your curls get too much buildup after a few days of not washing, consider washing more. If your hair looks and feels great after a few days of no shampooing, that's great! Washing your curls depends on your individual needs, so determine what works best for you and go with that. 2. How should you shampoo? When washing your hair consider a product that is gentle, but able to lift buildup from your strands. Your finer hair will need less product to get it clean (which is great for your wallet!). While you want a shampoo free of harsh chemicals, you can use a stronger shampoo if your hair needs product or oil removal. Experiment with a few brands to find what works best for your type of curl. When washing your curls, section your hair so you can ensure each section is thoroughly cleansed. 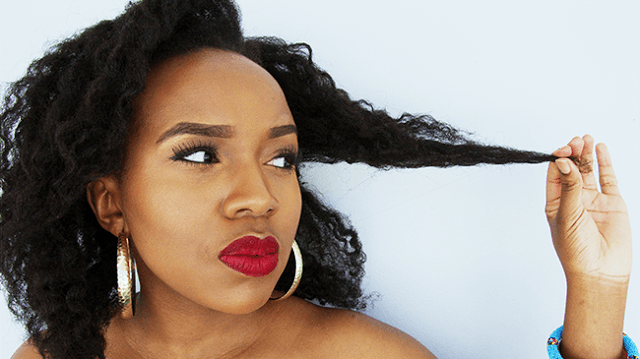 This is especially important for curly girls with a lot of hair. Make sure to massage your scalp to help break up excess oils and stimulate your scalp, which promotes healthy curl growth. A scalp massage also feels great! 3. Do you follow with a conditioner? Your curls still need moisturizers and conditioners. While you don't want to scrimp on products, select a conditioner that isn't too heavy, or it can weigh your curls down. Apply a generous amount to your curls from the mid shaft and work down, combing the product through with your fingers. Allow it to sit for a few minutes and then rinse. Follow up with a light leave in conditioner for healthy and hydrated curls. What are your secrets for washing your fine curly hair? Let us know in the comments!